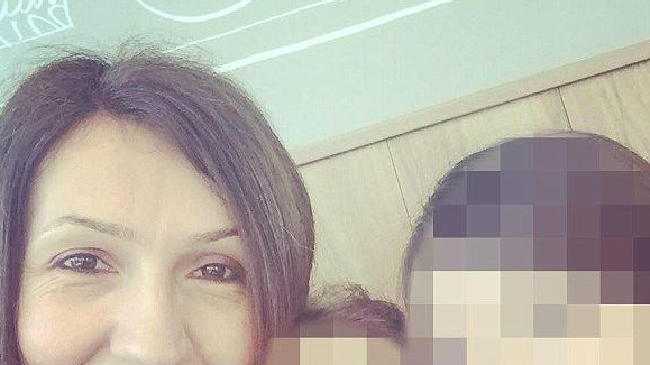 Mother of two Aysha Frade was killed in London’s terror attack. POLICE have made seven arrests over the fatal London terror attacks, after a second victim was named as a mother of two. The second victim has been named as Aysha Frade. The 43-year-old mother of two was reportedly on her way to pick up her children from school when she was caught up in the attack. Seven people have been arrested and six addresses raided in London, Birmingham and elsewhere in connection with the Westminster terror attack, Mark Rowley, the Metropolitan Police's senior anti-terror officer, said. 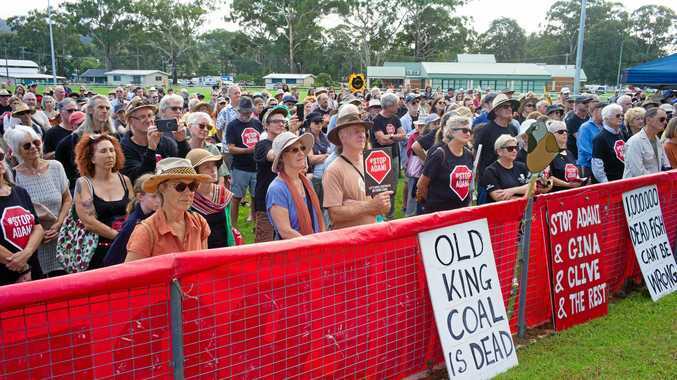 Mr Rowley said 29 people required hospitalisation and seven of them are in critical condition. Despite earlier reports that four victims besides the perpetrator had died, Mr Rowley stated that there were in fact only three victims. The incident occurred around 2.40pm local time when a man mowed down pedestrians on Westminster Bridge in his car before stabbing a police officer to death at the entrance to Parliament. South Australian woman Trish Neis-beer was run over by the car. Prime Minister Theresa May declared the incident a "sick and depraved terrorist attack". The man was gunned down by armed plain-clothed police as he sprinted towards Parliament's entrance after stabbing an unarmed officer to death. The police officer killed was Constable Keith Palmer, a 15-year veteran of the force and a father of two. The 48-year-old was a member of the parliamentary and diplomatic protection command that usually are armed and stand guard just within the gates of the Houses of Parliament. London Attack: Ten minutes of terror: 3D flyover and timeline of attack. 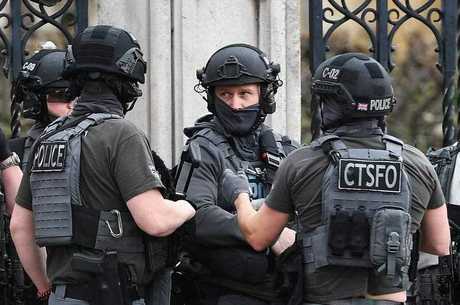 EARLIER: BRITISH police have stormed a house in Birmingham following a terror attack outside Westminster which claimed five lives including the perpetrator. A man went on a rampage in the heart of London, fatally mowing down three pedestrians on Westminster Bridge with a car before stabbing a police officer to death at the entrance to Parliament. Prime Minister Malcolm Turnbull confirmed during Question Time that a woman who lived in South Australia was among the injured. In all five people were killed, including the attacker, and 40 others injured in what Prime Minister Theresa May declared a "sick and depraved terrorist attack". EARLIER: One of the victims of the London terror attacks has been confirmed as a South Australian woman. The woman is said to in hospital and receiving treatment. #BREAKING: The government has confirmed a woman from South Australia is in hospital after being injured in the terror attack in London. EARLIER: A MAN has gone on a rampage in the heart of London, mowing down three pedestrians on Westminster Bridge with a car before stabbing a police officer to death at the entrance to Parliament. The panic began a short time earlier as the car the attacker was driving repeatedly swerved on to the pavement on Westminster Bridge, sending at least 11 of the victims sprawling. One was killed instantly as she was pushed under a red double-decker bus. Another tumbled down stairs. The attacker appeared to deliberately steer his grey SUV towards the larger groups of pedestrians. One was a group of Korean tourists. Another was a huddle of French school children. A group of three police officers was also targeted. One pedestrian toppled into the Thames River below. Mobile phone footage in the immediate aftermath showed the injured sprawled across the bridge. The SUV came to a stop wedged into the ornate stone and metal fence near Big Ben. The attacker, described as a middle-aged Asian man, then leapt from the car and sprinted around the corner to the entrance to New Palace Yard. Here he was confronted by unarmed police officer Keith Palmer, 48, who was fatally stabbed. Moments later, as the attacker raced towards the main entrance to Parliament, an armed police officer fired a short burst from his automatic weapon. The assailant was critically wounded. He died a short time later. 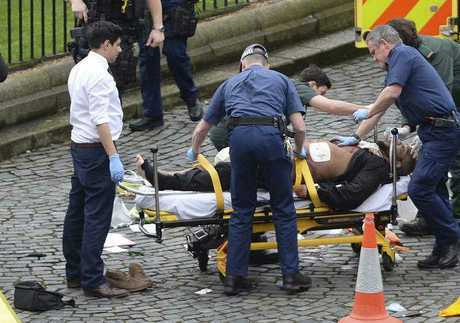 Lawmakers, lords, staff and visitors were locked down after the man was shot by police within the perimeter of Parliament, just metres from entrances to the building itself and in the shadow of the iconic Big Ben clock tower. UK terror attack: London lock down as four confirmed dead: A POLICE officer and his attacker are among four people killed in a suspected terror attack in the heart of London. EARLIER: POLICE have confirmed five people have been killed and about 40 injured in a suspected terror attack in the heart of London. A police officer and his attacker are among the dead, and injured casualties indlude three police officers. 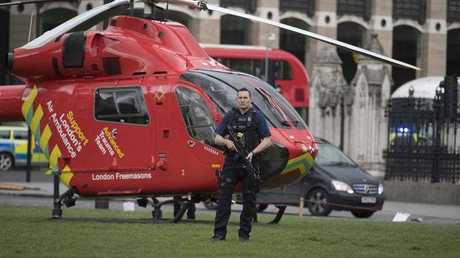 The attack unfolded on Wednesday afternoon when a man drove a car across Westminster Bridge mowing don pedestrians before storming a security checkpoint outside the UK Houses of Parliament and stabbed a police officer on Wednesday afternoon. The attacker was shot by police outside the Palace of Westminster. Police have confirmed that both the officer and the alleged terrorist died. Police say they know the identify of the attacker, but those details are yet to be made public. The man was wrongly identified as a known extremist and hate preacher, but it has since been confirmed the suspected attacker named by several British media outlets is in prison. Before the attacker reached Parliament, at least 20 others were injured when he mowed down pedestrians in a car on a nearby bridge. The building, in the heart of London, was immediately locked down and Parliament was suspended. Westminster Bridge was littered with bodies after the attacker drove into pedestrians, before crashing into the gates outside Parliament. Colleen Anderson of St Thomas' Hospital told the British news agency Press Association that a female pedestrian had died. "There were people across the bridge. There were some with minor injuries, some catastrophic," she said. "Some had injuries they could walk away from or who have life-changing injuries." Eyewitness Amne Mouad told news.com.au that he was standing in Parliament Square talking on the phone when he heard two loud bangs. "The first man, I think, is dead. He was full of blood in the head," he told news.com.au. "What I see is no accident, to me. I saw people shouting and running." Treasury Department worker Barbara heard the drama unfold from her office next to the Palace of Westminster. "At the beginning we didn't know it was gunshots, then it got quite shocking for us," she told news.com.au. Staff received a message that there had been an incident, but were given no detail. "You don't know what happened, then you read about a terrorist attack. It is scary," she said. She said she saw as many as 10 snipers on a nearby roof as she was evacuated from her building. Like many Londoners, she has been waiting for another terrorist incident to strike the city. "I'm actually quite surprised that's it's been so long, but there you have it," she said. 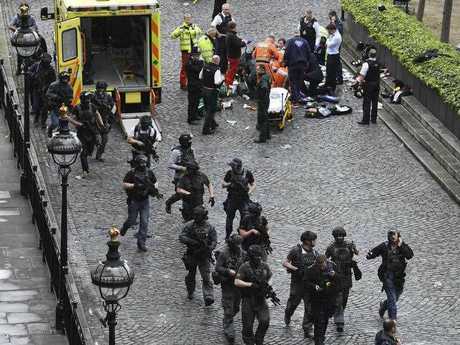 A witness at Parliament told The Sun: "We heard a loud bang, lots of shouting and men running around. "Someone rushed through, attacked a policeman. "He appeared to be carrying a knife or a gun. We then heard gunfire, five or six rounds. "The man approached one of the police officers with a knife." Workers are streaming out of offices in their thousands as police expand the cordon around Westminster. Prime Minister Theresa May was at Parliament when the incident began, but her office says she is safe. She was bundled into a car and rushed from the scene, The Sun reports. The leader of the House of Commons, David Lidington, said an assailant at Parliament was shot and that there were "reports of further violent incidents in the vicinity." Journalists were told to stay in their offices. Political editor of London's Daily Telegraph, Christopher Hope, said he heard a loud explosion on Westminster Bridge and saw the public running away. "Gun shots outside. Frightening," he wrote online. The incident comes on the one-year anniversary of the Brussels airport terror attack, where two bombs claimed 32 lives. The shooting also comes one day after Ms May announced the date that she would trigger article 50 of the Lisbon Treaty to begin the Brexit process, whereby Britain will leave from the European Union. The withdrawal will officially start on March 29. Suspicion immediately fell on terror group Islamic State, whom authorities have long feared are planning a terror attack in the UK, but no organisation has claimed responsibility. The attack came on the one-year anniversary of the terror attacks on Brussels airport and on the metro system in Belgium, which claimed 32 lives. Using a vehicle as a weapon is becoming an increasingly common tactic for Islamist terrorists. On December 19, a IS-inspired terrorist drove a truck through a Christmas market in Berlin in Germany, killing 12 and injuring 56. On July 14, last year, another Islamic State terrorist used a truck to mow down hundreds of people lining the main boulevard in the French city of Nice, killing 86 and injuring 434. A European security official told AP there was increased chatter on jihadi networks on Tuesday following the UK's adoption of an electronics banaboard flights from certain mostly Muslim countries. He said, however, there was no information that the incident was terror-related.